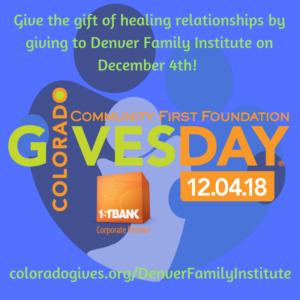 You can make a difference today by supporting Denver Family Institute. We are a 501c3 non profit that has been serving the community with strength based counseling services for almost 40 years for folks who could otherwise not afford therapy. I am privileged to be serving as the Interim Board Chair.